I have an announcement to make. I’m officially a convert. No, I didn’t go to Choice Center and have a life changing experience, this conversion is something altogether different. It has to do with my feelings toward a poker player, Dutch Boyd. While I can often be critical (overly critical in fact) I’m not a begrudger. Personally, I find people who find joy in the misery of others absolutely repugnant, and regardless of how I feel about certain people I never root for them to fail or for calamity to befall them. BUT, when it came to someone like Dutch Boyd I wasn’t actively rooting for him to succeed either. If Dutch won a tournament no problem, good for him, but you wouldn’t find me rooting him on at the final table. Well, that’s all changed for me now. Dutch Boyd is starting to grow on me, and I find myself not only rooting for him to succeed, but I hope the road to redemption he has started to travel down has a happy ending for him. Don’t get me wrong, I still think he deserved every bit of flak that came his way in the past, but the past is the past, and Dutch seems to be doing things a different way nowadays. I wrote a pretty scathing article about Dutch earlier this summer, where I rhetorically asked if I should buy Dutch’s book. On the one hand I was fascinated to read his story, but on the other hand I didn’t want to line the pockets of someone I felt had done more harm than good to the poker world. That very day (obviously after reading my column) Dutch added me on Twitter and offered me a free copy of his book. We corresponded briefly via e-mail and he never once tried to defend himself or “correct” anything negative I said in my article; in fact he said if I was in Vegas we should get a drink and he simply hoped I would like his book. His reaction to the article was making me rethink my opinion of him considering the private messages I have gotten in the past over far less vitriolic musings –it’s pretty hard to consider someone a pretentious douche bag when they behave in such a humble and calm way, so Dutch had already gone up a peg or two in my book just from his response. My next step on the path to rethinking my feelings regarding Dutch Boyd was that I absolutely loved his book and found it to be both honest and forthcoming. But I still wasn’t fully converted. It certainly moved me further towards becoming a Dutch Boyd fan, but it wasn’t enough for me to start rooting for him just yet. What did finally convert me was Dutch’s (eventual) handling of the lawsuit settlement brought against him for cybersquatting by Mason Malmuth and 2+2. At first Dutch was aloof and combative about the whole thing, but he eventually paid (thanks to a terrific 2014 WSOP that saw him win his third bracelet), issued an apology letter, and generally handled things glowingly ever since. In every interview I saw with Dutch this summer (and there were many), with every tweet and Facebook post he made, and with every interaction I had via e-mail with him I found him to be modest, honest, and most importantly grown up. It wasn’t that I couldn’t forgive, it was that I was having a hard time forgiving someone who wasn’t taking responsibility. Dutch’s decision to not just pay the lawsuit settlement, but to write the apology letter (which included an apology for the recent statements he had made just weeks prior) showed me that this Dutch Boyd guy may be worth rooting for. 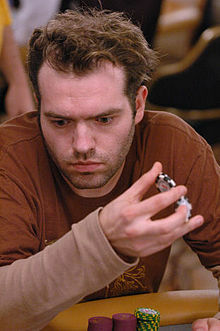 This also extended to his book, where he doesn’t ask the poker world for forgiveness for his “crimes” against the poker community (namely PokerSpot.com) but simply accepts that he has screwed up and wants to move on. Dutch is no longer talking about making things right (a hopeless endeavor), he has simply accepted that he cannot make things right for some of the victims of PokerSpot. People may not like this, but at some point we have to forgive, and after close to 15 years I think we can almost all agree Dutch has done his time and can now be released from poker parole. As I stated in my review of Poker Tilt, sometimes we overlook that the PokerSpot Dutch Boyd was 20 years old, and that “The Crew” Dutch Boyd was still in his early 20’s. I don’t really care for that Dutch Boyd. I do like the new Dutch Boyd, a man who is now matured, experienced the highs and lows of life, and who has stopped trying to amend his past and is ready to move on and write the next chapter in his story. Should Anyone Buy Dutch Boyd’s Poker Book?